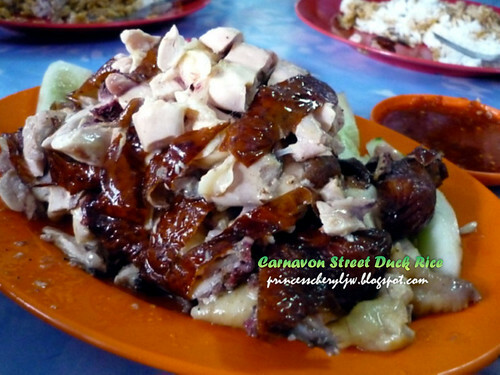 Duck Rice Carnarvon Street Penang - Marvelous roasted "quacks"
Duck rice second hit! 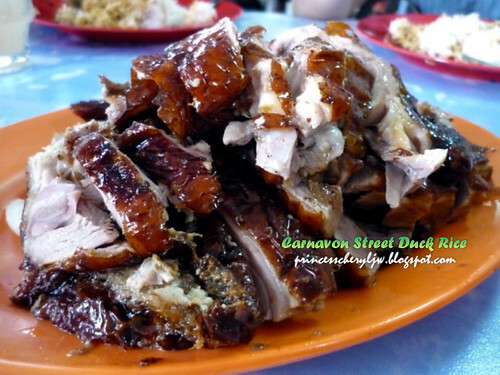 Jit Seng Hong Kong Roasted Duck Rice (日昇香港燒鴨飯). 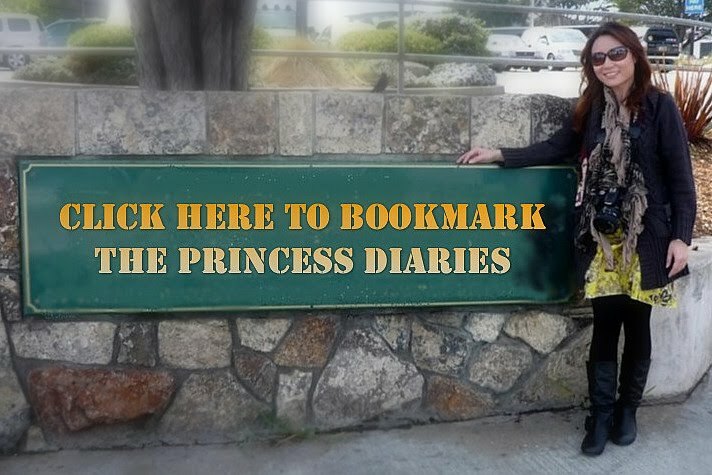 This place might or might not sounds familiar to you, it's near Prangin Mall and Komtar. Business starts around lunch hours. 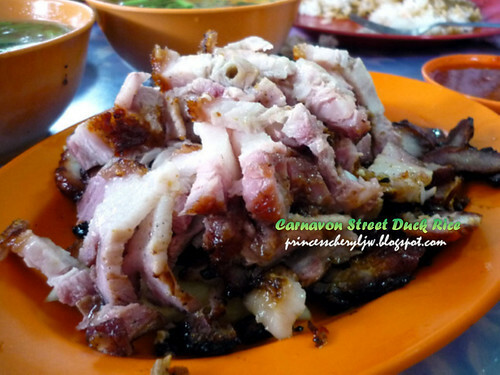 Carnavon Street (沓田仔) is known as Lam Chan Nah to the Penangites, meaning " poor quality swampy fields". Baby always like to pronounce Lam Chan Nah... to a Cantonese it might sound a bit funny, that's why he finds pronouncing it fun... This street starts from Jalan Dr Lim Chwee Leong (formerly known as Prangin Road 港仔墘) and end at Chulia Street (牛干冬) . 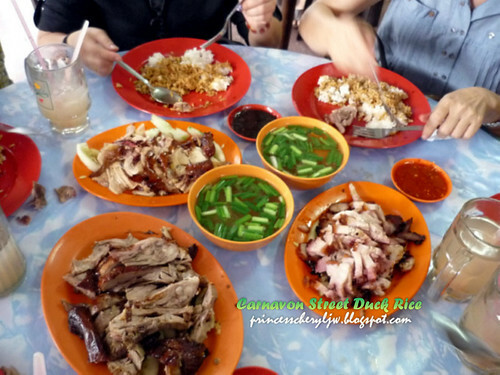 It's our favorite place for duck rice, even during working day lunch hour. I have a bunch of great lunch mates, whenever we have time, we'll explore some really good food. I am the one who seldom suggest where or what to eat, I actually enjoy more on savoring good food then review and share. One of the reason, places that I look forward to go is far away and we will not enough time during lunch hour, so I rather do it during the weekends with my baby and our parents. Mix dish of roasted chicken and white cut chicken (白斬雞). Don't laugh, it's really called white cut chicken in Wikipedia okay. A table full of fats~ But we enjoyed so much. Whichever roasted stuff that can get praises from the Ipoh-mali in our family will be considered rare in Penang. 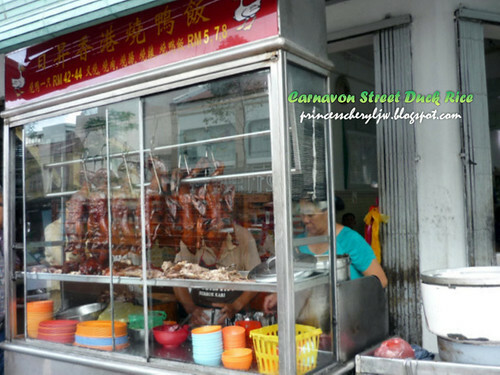 It's true, Cantonese is always better as food critics compare to Hokkien. If you really know where-to-eat in Ipoh, you'll find heaven. 246, Lebuh Carnarvon, 10100 Penang, Malaysia.